On the issue of office of profit, the Election Commission's sword is on the membership of 20 MLAs of Arvind Kejriwal, while on the other side, the party chief and Delhi Chief Minister Arvind Kejriwal were seen taking advantage of cricket away from all these troubles. Inaugurating a cricket tournament in the Laxmi Nagar area, Kejriwal took a stand on the pitch and started hitting ball. Kejriwal was also seen saying that your “bowler is not right”. On the second ball, Kejriwal cut off the ball with a beautiful shot offside. On the cricket front, Kejriwal played a good bet. 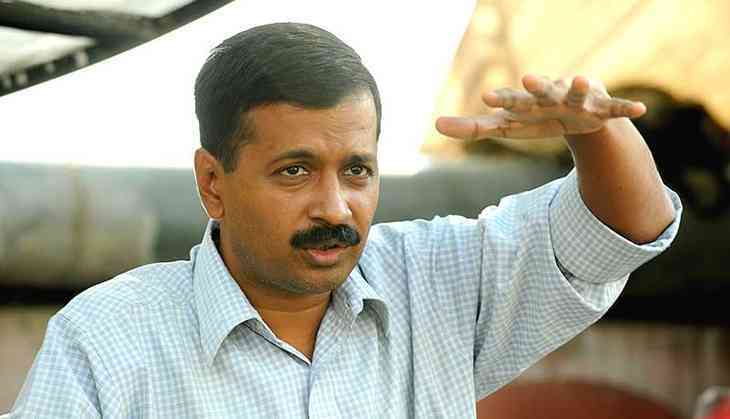 After the announcement of the Election Commission, the BJP and Congress have demanded resignation from Kejriwal. But the Aam Aadmi Party has accused the Election Commission of adopting a biased attitude. Kejriwal, where a war is running in High Court. At the same time, another front has opened for him on political ground. Before fighting on all these fronts, Kejriwal played a bet today on the cricket fronts. "तुम्हारा bowler सही नहीं है"
Significantly, the Kejriwal government had made a plea for the help of its ministers in March 2015 in which 21 legislators were made parliamentary secretaries, after which the lawyer Prashant Patel had challenged these appointments while describing the office of profit. The matter reached the Election Commission and the Delhi High Court by the President, after which the Election Commission sent the opinion to the President that these MLAs should be disqualified on Friday, all eyes are now on the President.